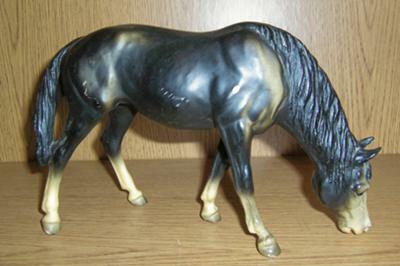 This Breyer model, grazing mare #141, is not in the best of condition. It has scratches on one side, along with white spots. It is not broken or chipped.